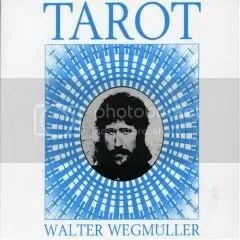 Basically an earlier session from the Cosmic Jokers, this tripped out double album features a tarot concept and some big name krautrockers going wild with Swiss artist Walter Wegmüller talking over most the tracks. Manuel Göttsching, Klaus Schulze, and a host of other guys from Ash Ra Tempel and Wallenstein are in attendance. It never quite reaches the same depths of spaced bliss as Ash Ra Tempel (partially due to the short track lengths), but nothing does, so that’s alright. A gem from the Cosmic Couriers, if you’re into Ash Ra Tempel, Cosmic Jokers or Tangerine Dream and haven’t heard this one yet, you’ll definitely enjoy.